The WORCESTER PARK Blog :: Wanna Buy A Jumble? Yes it's on again. 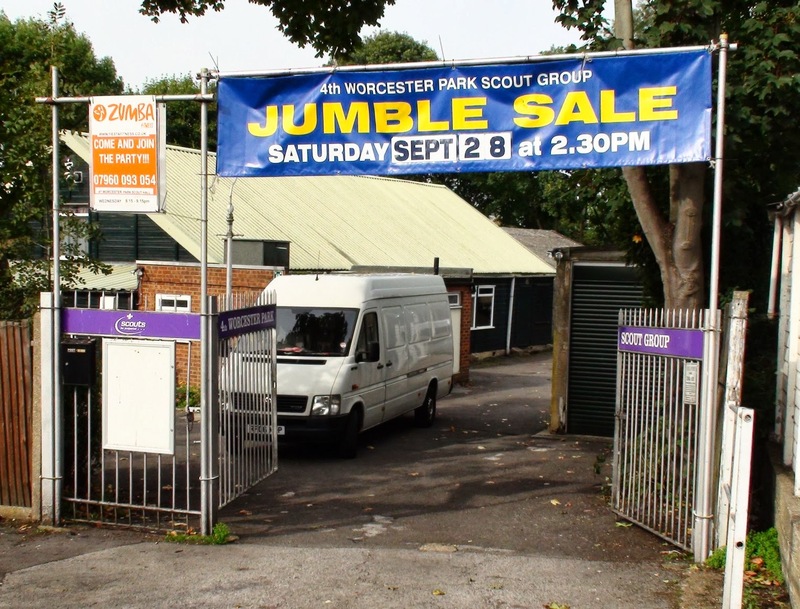 The 4th Worcester Park Scouts are having a Jumble Sale tomorrow (Saturday 28th September) at their JHQ (Jumble Head Quarters) in Balmoral Road. It must be big and important because I have just used 16 capital letters in that last sentence. 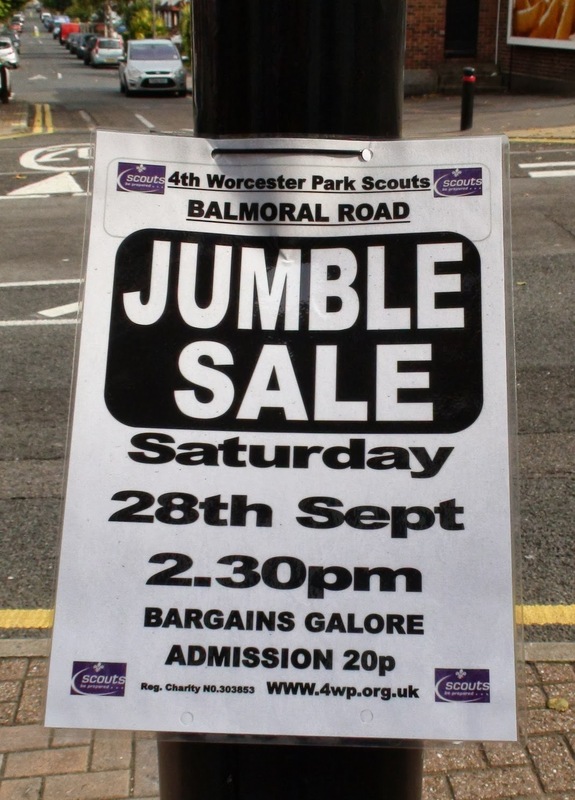 According to the informative signs that have sprung up around Central Road, from 2:30pm onwards you can expect to find 'Bargains Galore' and only have to fork out 20p for the opportunity.